Planet TV demonstrates the tireless efforts of Dr. Preston M. Wolin at the Center for Athletic Medicine to restore patients to their pre-injury activities. CHICAGO, October 5, 2018 – Dr. Preston M. Wolin strives to help his patients return to their regular lives following an injury with swift and safe recovery times through a holistic approach to their overall health and wellness. Regardless of the need following an injury at work or on the field, Dr. Wolin’s Center for Athletic Medicine provides a wide range of services to their patients with specialists in the fields of physical therapy, nutrition, rehabilitation, psychology and athletic training. Both on-site diagnostic and physical therapy services for surgical and non-surgical therapies for musculoskeletal injuries during work, play or sports are provided by the Center for Athletic Medicine. The Center for Athletic Medicine was founded by Dr. Wolin in 1991 following his impressive educational efforts. Dr. Wolin completed his M.D. at the University of Illinois and underwent his residency at the Northwestern University Medical Center. His two fellowships included Sports Medicine at the Boston Children’s Hospital/Harvard University and Arthroscopic and Reconstructive Knee Surgery at Newton-Wesley Hospital/Tufts University. Dr. Wolin is Board Certified by the American Academy of Orthopedic Surgeons specializing in the shoulder, knee, ankle and elbow. 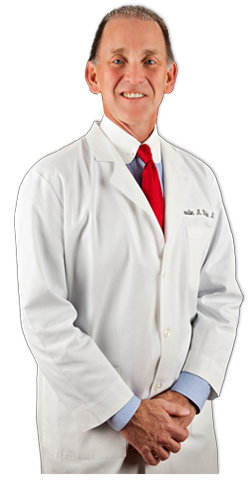 Additionally, he is subspecialty certified in Sports Medicine. To share his extensive educational background with up-and-coming doctors in the field, Dr. Wolin serves as a professor in the subject of orthopedic surgery at the University of Illinois in Chicago as well as Director of the Sports Medicine Fellowship. For more information about Dr. Wolin, visit his website at http://athleticmed.com/ or call 773-248-4150. Dr. Wolin’s contributions to his field earned him the Carl Haven Young Service Award from the American Kinesiotherapy Association. Highly recognized for his understanding of sports injuries and the specialized care involved with giving athletes the best chance to return to the field, Dr. Wolin has served as a team physician for multiple organizations. Among the teams who have benefited from his precise and conscientious care are DePaul University, University of Illinois – Chicago, Major League Soccer Team The Chicago Fire, Loyola University, the United States Soccer National Men’s and Women’s Teams, The Windy City Thunderbolts and The Chicago Red Stars. Currently, he works as the team physician to Robert Morris University, St. Rita High School and St. Ignatius Prep. With his extensive experience working with athletes in the whirlwind of physical skill, mental focus and emotional surges, Dr. Wolin is a founding member of the Illinois State High School Sports Medicine Advisory Committee. No stranger to board directives for the betterment of the community, Dr. Wolin has served as the Vice President of the Conference USA Medical Committee as well as a consultant to the National Strength and Conditioning Association. New Frontiers is a compelling TV series which explores cutting-edge medical institutions that are shaping our nation's medical field. New Frontiers is a medical series in short documentary form to be featured on TV and on-demand TV.